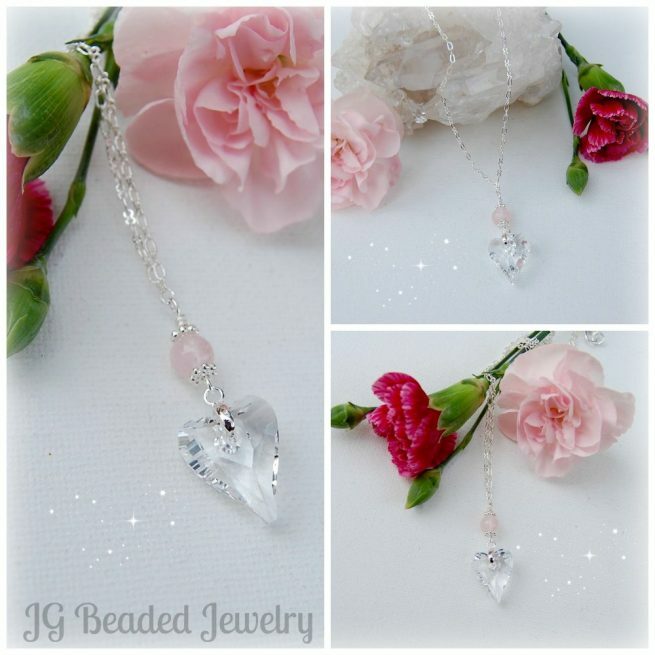 This long rose quartz heart necklace is uniquely designed and crafted with care. 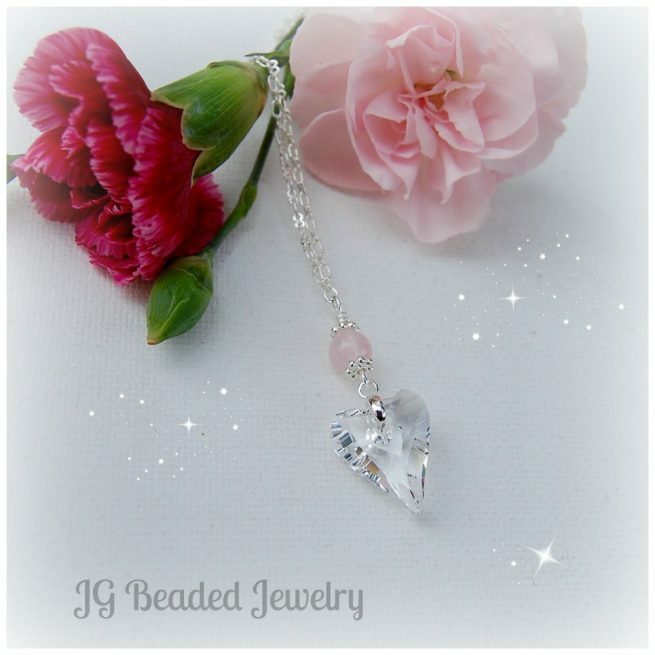 The Swarovski crystal heart has an elegant cut, beyond beautiful and is complimented with a natural rose quartz gemstone. 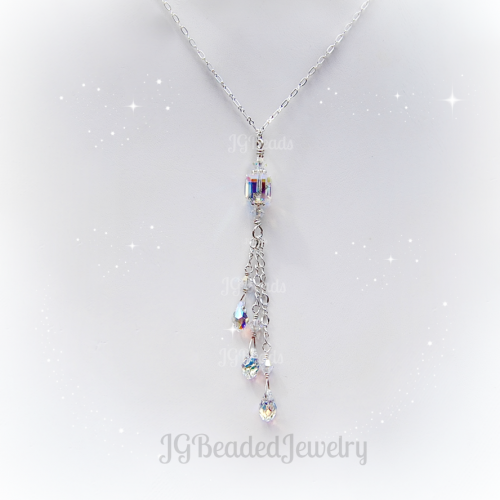 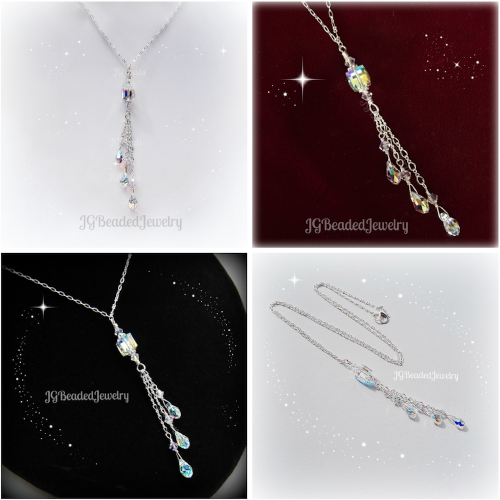 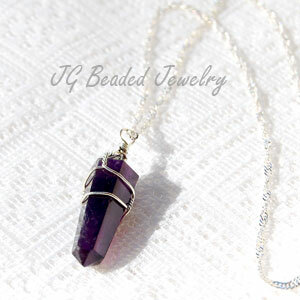 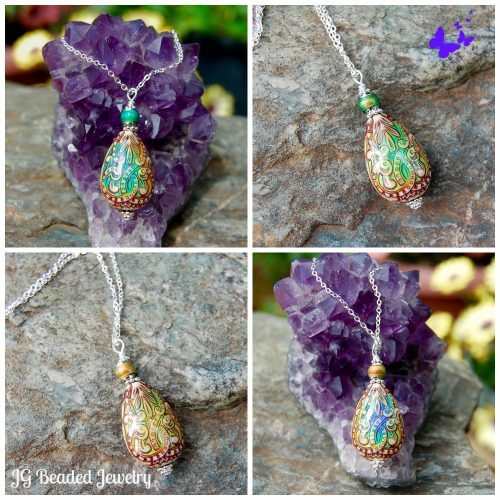 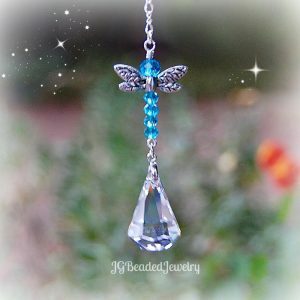 The handcrafted silver chain necklace measures 24 inches. 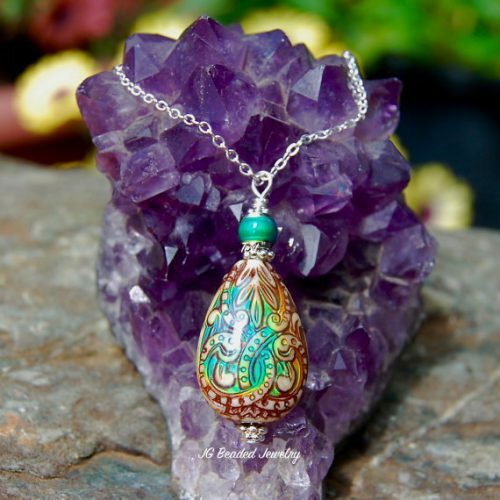 The heart is securely wire wrapped into the chain which will keep the clasp in the back of the neck. 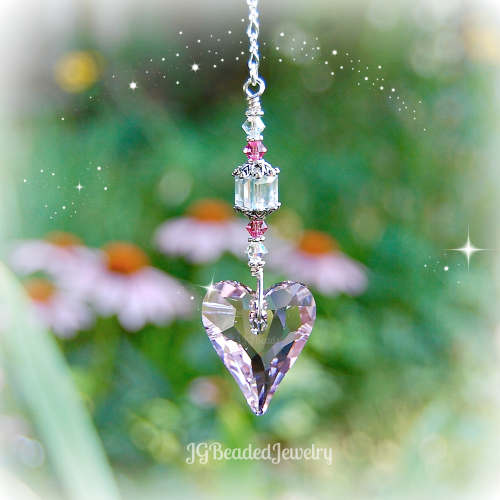 The 17mm Swarovski Wild Heart glistens with beauty – Swarovski is known worldwide for quality and precision cut flawless crystals. 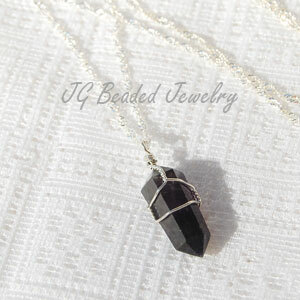 Rose Quartz is is the stone of the heart and represents love, peace and calming.